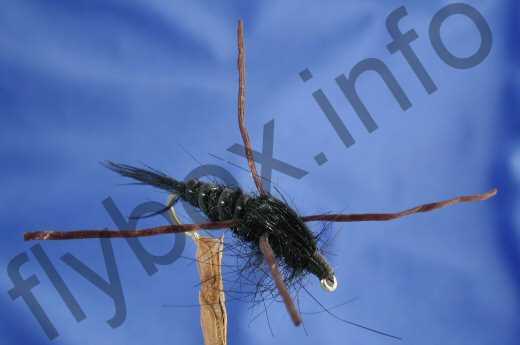 The Black Stone Fly is a seriously good pattern for those deep holes in rivers, often where the big fish lie. tail : Black pheasant tail. Thorax : Spike black guard hairs. Body : Black pheasant tail. Rib : Magic glass, black. Legs : Super floss, black.